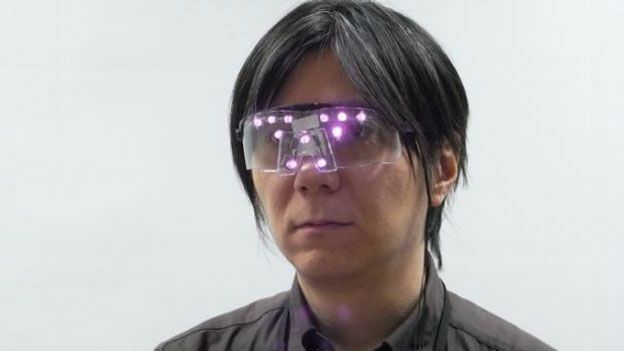 If you're one of the many folk who are concerned about facial recognition technology, a new set of glasses designed by scientists at Tokyo's National Institute of Informatics could be just the device you're looking for. Dubbed the 'Privacy Visor', this new headset is equipped with an infared light source that effectively blocks facial recognition software in cameras, without adversely affecting the wearer's vision at all. The Institute said in a statement that the Privacy Visor was developed to combat the the invasive nature of facial recognition tech, which is now used by everyone from retail outlets to social networks to bank ATMs to law enforcement agencies. "The possibility of photographs taken in secret and unintentional capture in camera images resulting in the invasion of privacy has already been pointed out in Europe and other regions," the statement said. "Due to concerns about the invasion of privacy from SNS facial recognition functions, the European Union has requested the invalidation of facial recognition in Facebook intended for European users." The Privacy Visor is just a prototype at this stage, but it's bound to prompt interest from companies looking to sell a version of the device commercially.